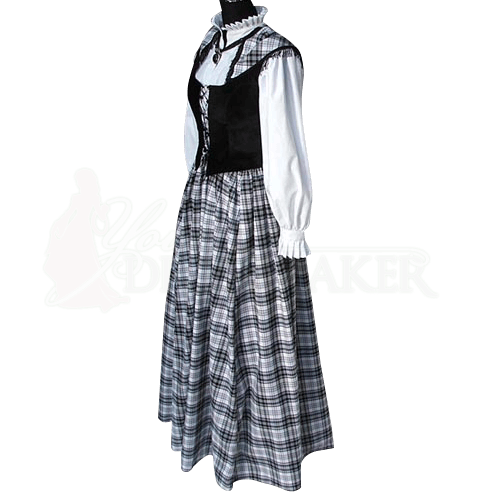 The Highland Dress is a four piece dress ensemble consisting of a chemise, bodice, skirt, and shawl. The chemise is made of 100% white cotton and the bodice is made of a black high quality velvet fabric. The skirt is made of a tartan fabric that is made of 65% cotton and 35% polyester. The shawl is triangular and made of tartan fabric with a black fringe. The Highland Dress is great for Scottish functions, Renaissance Fairs and Medieval re-enactments. 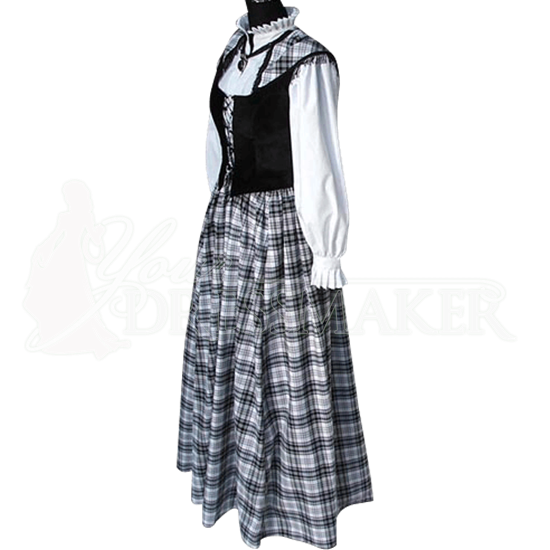 Be the star of your next fair or event with this beautiful Highland Dress.